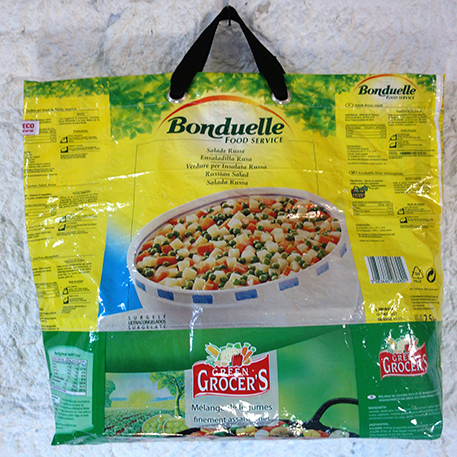 This shopper is made out of used food wrap assembled together . Inside: cotton lining in used clothes. Pocket. Each piece is unique. 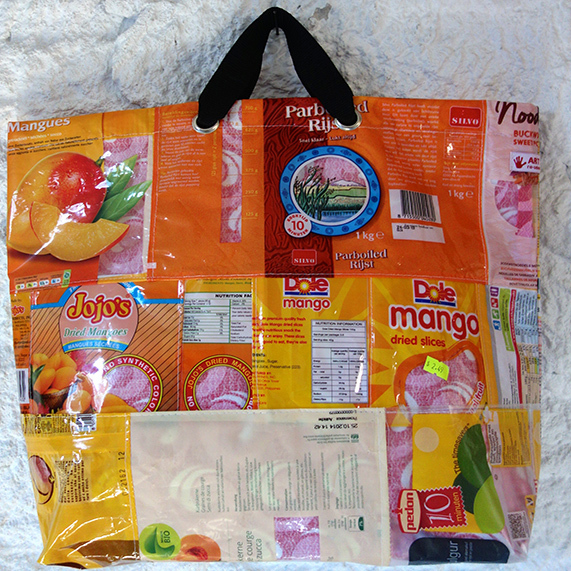 Specification : 50cm x 50cm . 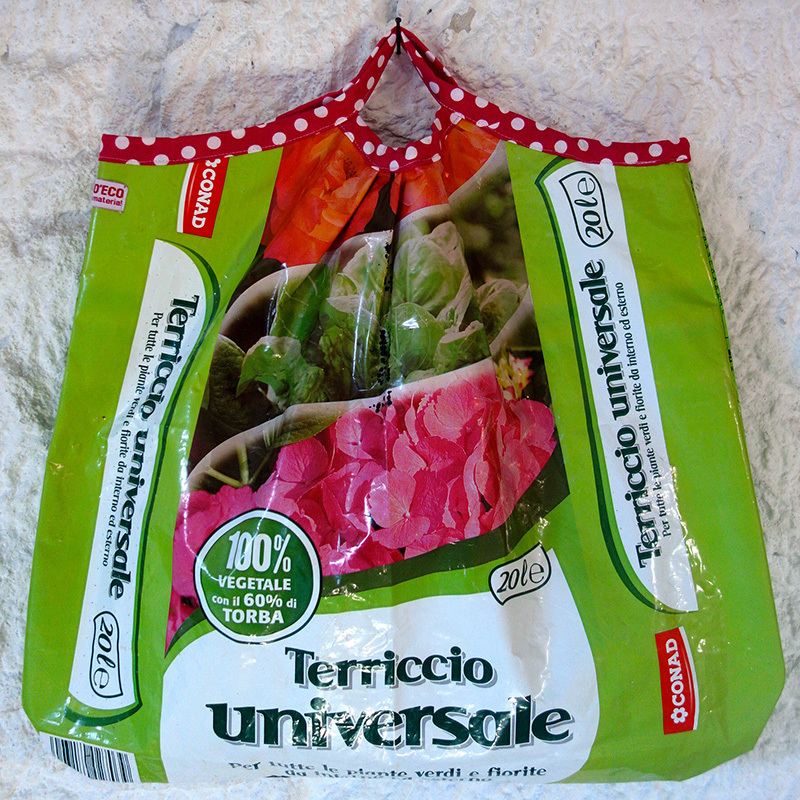 These amazing soil bags are used in their original state without any treatment. 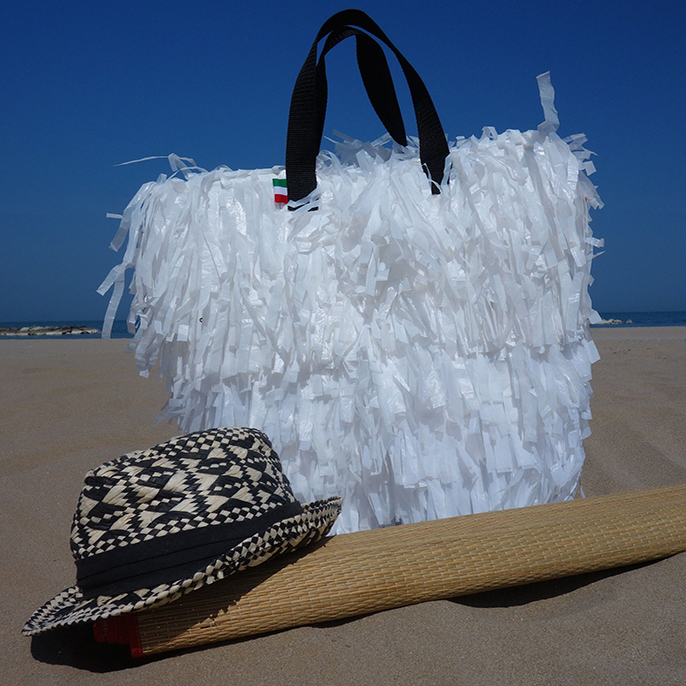 The fabrication is made with the aim of up cycling waste, without creating other waste or further pollution. By re-using the packaging, one gives it a new life and can still enjoy its graphic properties. This is the zero waste concept. Only low tech’ means, our hands, care and passion have been used.